At Call Center Services (CCS), we strive to bring the best-in-class appointment setting and lead generation programs to companies across multiple industries. Our dedication to excellence is one of the many reasons our customers come back to us time and time again. You might have first hand experience with our appointment setting expertise, or are have heard about our abilities to provide qualified, warm leads to sales organizations. Either way, we are happy to hear that the word is spreading, and we want to invite you to be a part of this movement. 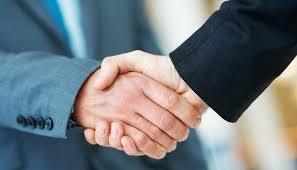 CCS’s partner program offers a simple way to leverage your existing business relationships. Simply refer a prospect to us, and if we win the business you can earn a commission. It is that simple. Fill out the form today to get started. Please enter the information below to request participation in our partner program.